No one wants to live with scars. You might have tried all methods to remove them, and your efforts must have gone in vain. Well, don’t let them trouble you any more. We bring to you home remedies that can get rid of those adamant scars and make you look flawless again. Read on to know more. Scars can be a result of injuries, burns, acne, blemishes, insect bites, chicken pox, and surgeries. They can tarnish your skin and leave permanent marks on your face and/or body. 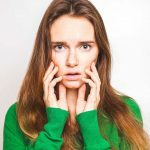 Although some parts of the body are not visible, having these scars on areas like the face can be very embarrassing and difficult to handle. Removing them can be a challenge, but it is not impossible by any means. 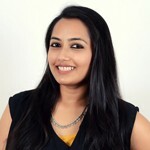 Atrophic Scars: Examples of this kind of scars are stretch marks and pitted acne scars. They create sunken or indentation marks on the body. Keloidal Scars: These are large, dark, elevated, and benign tumors that appear behind the ears, back, and chest. These scars can also go beyond and grow outside the affected area. Hypertrophic Scars: These are the most common type of scars. They are raised firm growths that do not go beyond the borders of the original injury. Scars come in all sizes and shapes, and they are something you would rarely want to show off. Here are some methods to treat these scars. These methods can erase them to a great extent in due course of time. Lemons are rich in AHAs (Alpha Hydroxy Acids) that help to remove dead skin cells and act as a natural bleach on old scars. 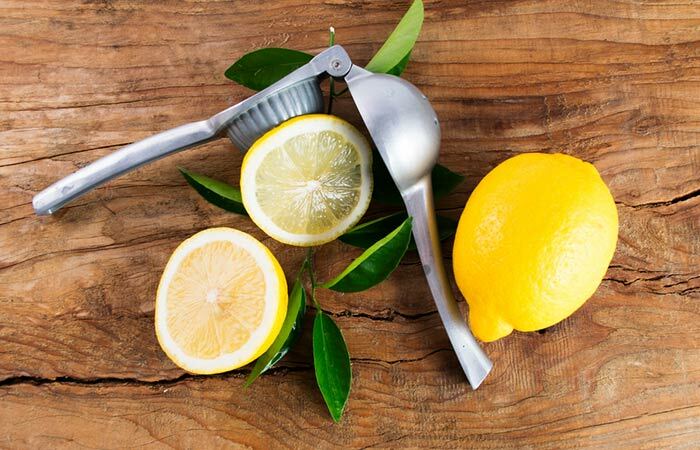 Lemon juice helps to lighten scars and erases them over time (1). Mix the raw honey and baking soda. Massage the mixture on the scar for about 3-5 minutes. Place a hot towel over the area. When the towel cools down, wipe the area clean. 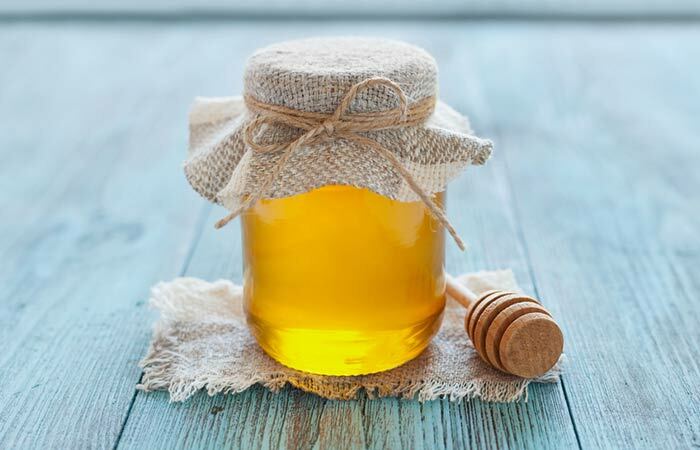 Raw honey is an age-old therapy to remove and fade scars. It stimulates tissue regeneration and is very effective in treating wounds as well (2). Baking soda exfoliates the accumulated dead skin cells from the scar and makes your skin healthy and smooth (3). Grate the onion and squeeze out some fresh onion juice. Apply this directly to the scar and let it dry naturally. This remedy can be repeated 3-4 times a day. This is a surprising treatment for old scars. Onions have anti-inflammatory properties and also inhibit the production of collagen, which in turn helps in fading scars (4, 5). These days, onion extracts come in gel or cream bases that can be applied regularly to get blemish-free skin. 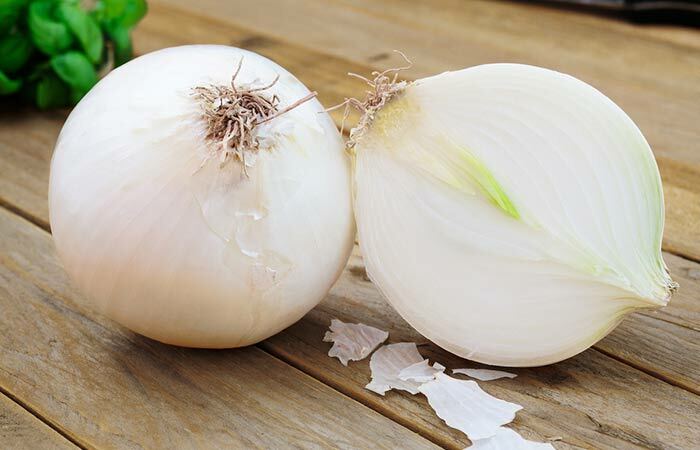 Do not forget to keep the skin moisturized in between the onion juice applications. 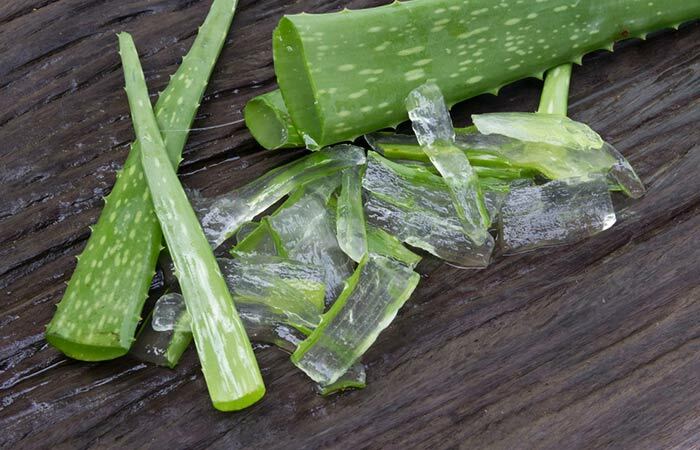 Use either fresh aloe vera gel or an organic store-bought one on the scars. Massage it in thoroughly. Aloe vera gel has anti-inflammatory properties that help to reduce skin irritation, remove scars, and encourage the regeneration of new skin cells (6). Mix enough gooseberry powder with olive oil to form a smooth paste that will cover the affected area. Apply this as a face pack and leave it on for 10-15 minutes. Use this face pack every alternate day. 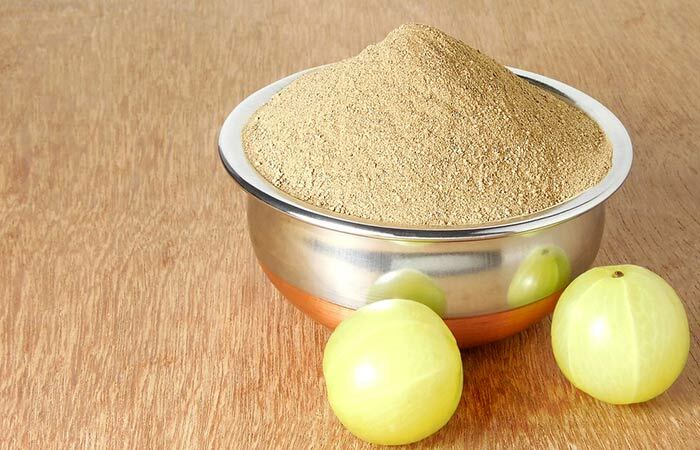 Known in India as amla, gooseberry is rich in vitamin C that inhibits the formation of scars. This helps in lightening the old scars and also preventing the formation of new ones (7). Olive oil will keep the skin nourished during the healing process (8). Dilute the tea tree essential oil in either olive oil or water. Massage the scarred area with this oil. Repeat this every night, before going to bed. 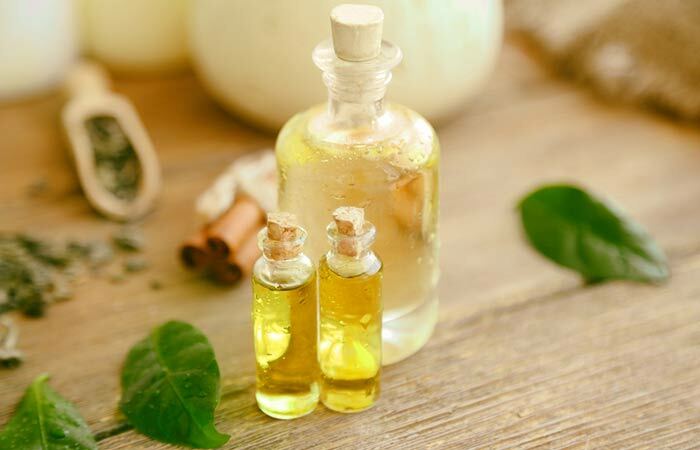 Tea tree oil contains phytochemicals that can reduce surgical and acne scars gradually. It improves blood circulation to the affected area and also protects it from any infections (9). Apart from these home remedies, there are various treatment options available in the market to get rid of scars. Here are some of the commonly used methods you can also opt for. There are several OTC drugs or creams that can be used to remove old scars, but only under the guidance of the doctor or a pharmacist. Consulting a certified dermatologist is recommended so that you are prescribed the correct type of cream to remove your old scars. Chemical peels are known to lighten old scars and remove them by using chemical exfoliants. This procedure also removes the dullness from the skin and adds a glow to the skin by providing an even skin tone. Many cosmetic clinics offer various types of chemical peels depending on the nature of the scar you want to get rid of. This method works the best for superficial scars. If none of the methods mentioned above methods work, you can try laser treatment. This method is used on persistent and stubborn scars. Different lasers are used for different types of scars. For example, a yellow light laser is used for keloids or hypertrophic scars. Among all the cosmetic procedures, laser treatment is the most effective in removing all scars and evening out your skin tone. Getting rid of old scars can give you confidence and determination to face the world. Try these methods, and soon, you will be ready to face the world without any embarrassment. It’s time to say goodbye to those old scars! Do you have old scars that bother you? What have you tried to remove them? What home remedy worked the best for you? Do share with us in the comments section.